Generally, cavers manage or assist in managing caves because landowners are unable to manage their caves without experienced outside help. 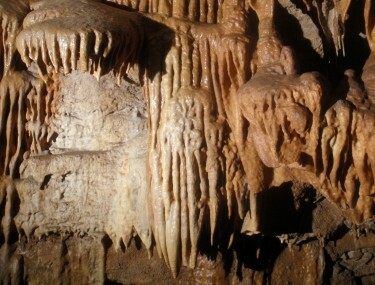 Some caves have vertical entrances that require experience in single rope techniques (SRT) such as rappelling and using mechanical rope ascending systems and many landowners are either not experienced in vertical techniques or are not willing to do so. Some caves have stream crawls or lengthy dry crawls landowners are unwilling or unable to negotiate. Some landowners live far away from the caves they own and appreciate help from cavers to keep watch over the property. It may also be that landowners simply do not have the time to watch over their caves and rely on experienced cave managers to help protect the cave and their landowner rights. Managing caves requires dedication from the individuals who volunteer to do the job. Cave managers must have a good rapport with the landowners and some develop long-term genuine friendships. Managers must not only know where the caves are, but must also be familiar enough with the caves to know which parts of the cave can be accessed and parts that should be left alone due to fragile ecosystems or unstable ceilings. Periodic checks on the caves are necessary to protect them, thus those who agree to manage caves must be diligent in scheduling time to visit the caves. Many managed caves have been gated. While not every cave should be gated, nor are there resources available to gate all caves, when a cave has been gated, there is a very good reason. Gates are important tools in keeping out unauthorized visitors who might unknowingly cause damage and those who would intentionally damage a cave or its contents. Some caves are gated to protect endangered species habitat; others are gated to protect the visitor from some unusual hazard such as an unstable ceiling, a deep pit or hypothermia. However, gates cannot be assumed to be the last line of defense against the vandalism. Gates must be inspected on a regular basis for damage caused by vandals,by natural events or processes. Gates must be maintained —locks cleaned and oiled, gates repainted as needed. Springfield Plateau Grotto members help manage Breakdown Cave, Fitzpatrick Cave and associated smaller caves in Christian County, Lon Odell Memorial Cave in Dade County, Watterson Cave in Wright County, Garrison Cave #2 in Christian County, Dream Cave in Ozark County (in partnership with the MCKC) and Pearson Creek Cave in Greene County. Please help us maintain managed caves by respecting landowners’ rights to privacy, obeying trespassing laws or by volunteering to help us manage the caves.